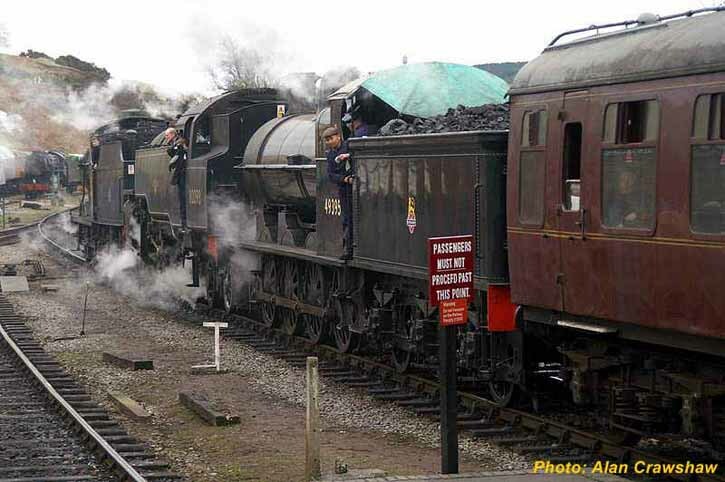 44422 and 80098 running round at Froghall. 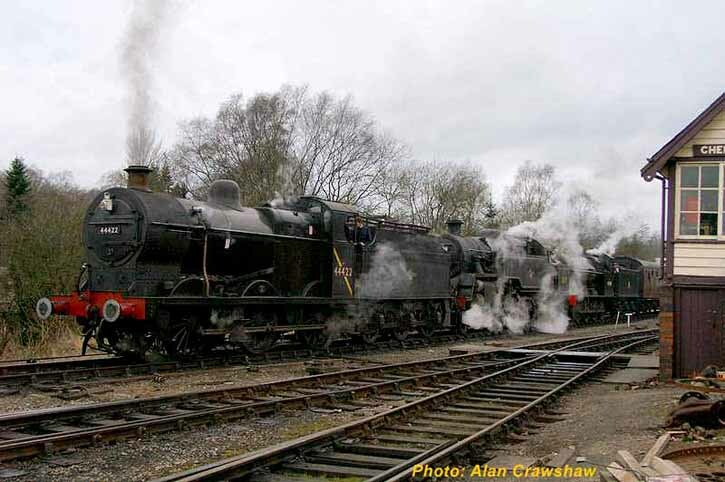 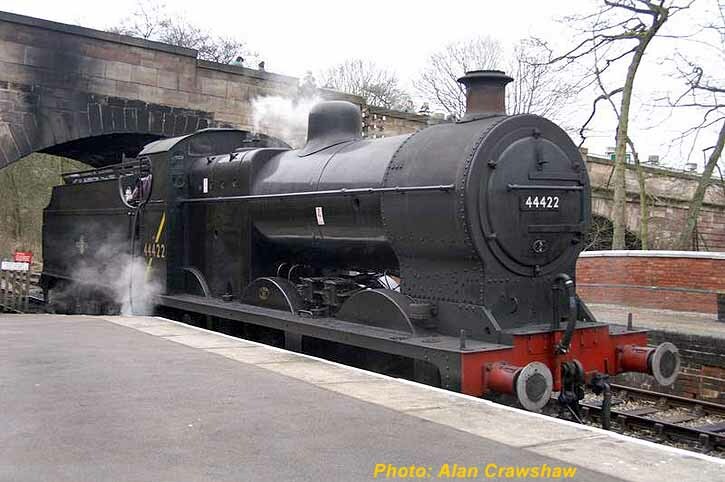 44422 and "Super D" 49395 at Cheddleton. 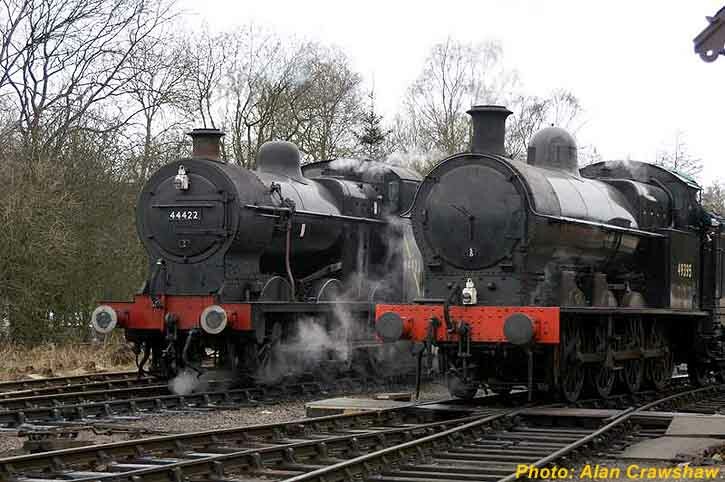 44422 waiting to leave Froghall with 4771 "Green Arrow" in the background. 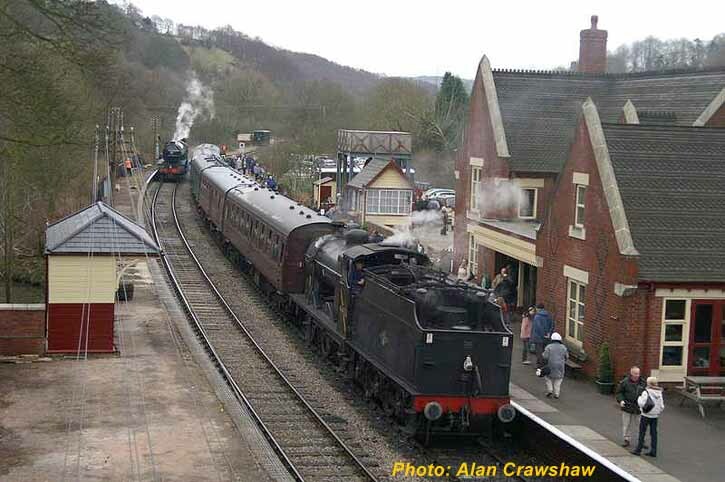 The cavalcade of 44422, 80098 and 49395 waiting to leave Cheddleton for Froghall. 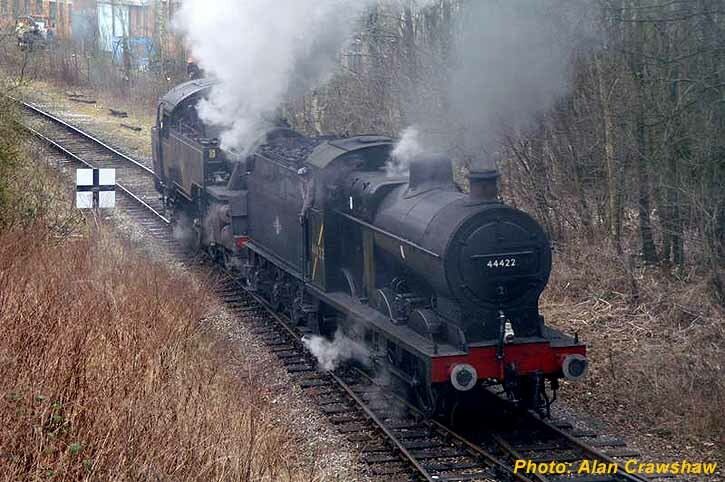 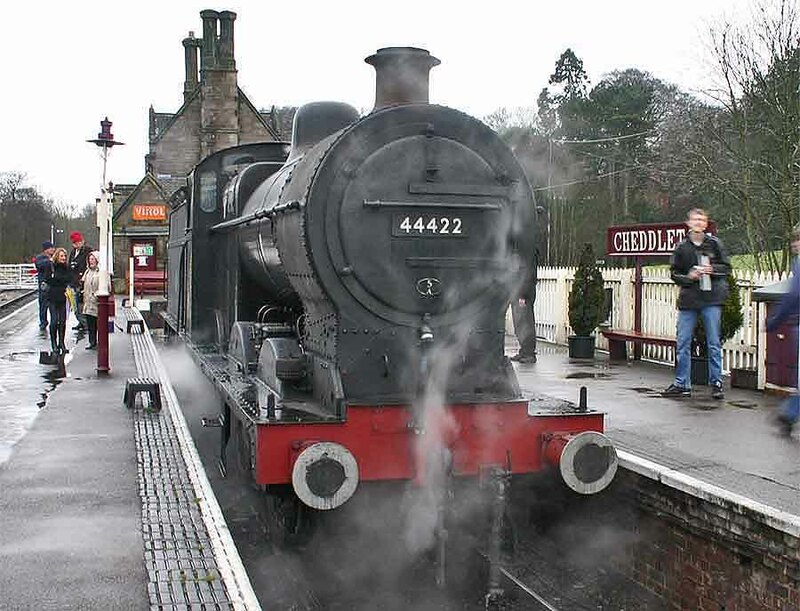 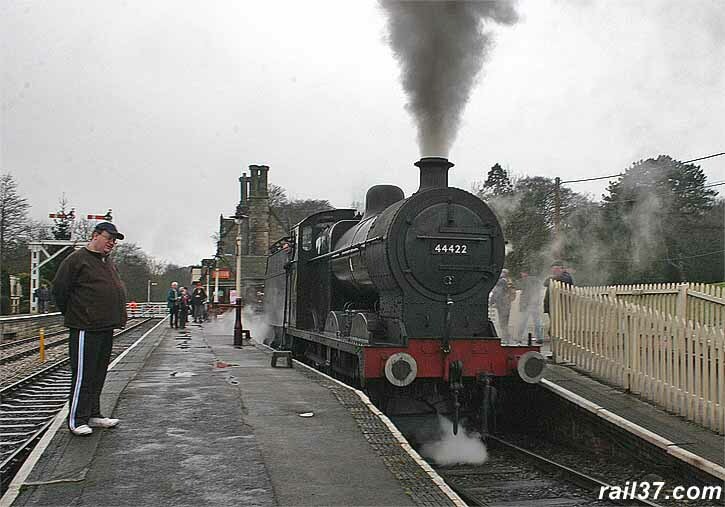 44422 on "drive the engine for £10" duty at Cheddleton. 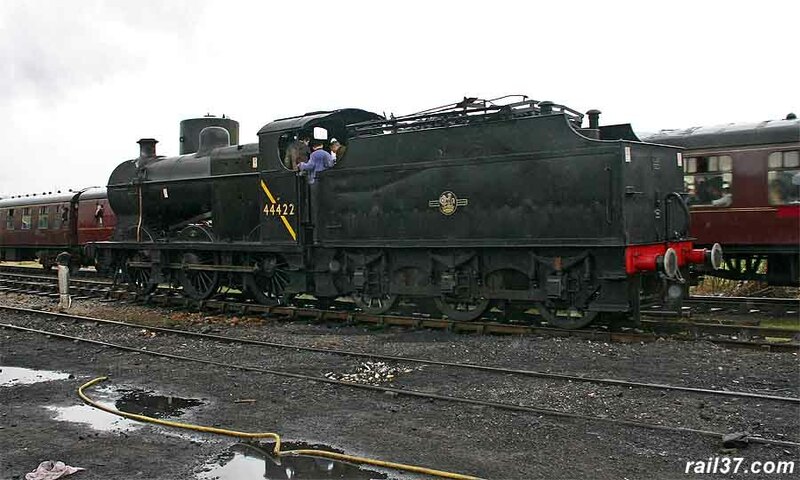 44422 waiting for its next turn of duty.